During the campaign debates leading up to last year’s election, Social Security was a hot topic. No matter where we fall on the political spectrum, it’s safe to say that we’re all interested in the future of the program. After all, Social Security benefits are available to all Americans once they reach retirement age. While the long-term future of the program remains unclear, definite changes to the program for the year 2017 were released by the Social Security Administration (“SSA”) in October. People of all ages, from all income brackets, and with all different types of retirement savings strategies should be aware of the changes, as they impact us all. 1. Full retirement age will increase: This one isn’t much of a surprise. That’s because it's been over three decades since Congress passed legislation to change the full retirement age—the age at which you become eligible for 100 percent of your monthly benefit. Retirees born in 1955, however, may be surprised in 2017 if they decide to file for early benefits at age 62. Why? Beginning in 2017, the full retirement age will increase by two months for those born in 1955, to 66 years and 2 months. This two-month increase will continue with each successive year, meaning that retirees who file for early Social Security benefits could see a bigger reduction in their monthly benefit than their predecessors. The flip side it that higher-end benefits—which stop accruing by age 70—will no longer max out at 132 percent of the full retirement age benefit. Instead, 2017 will begin a new cap somewhere between 124 percent and 132 percent. This cap will continue for the next five years. 2. The maximum monthly benefit will increase: Even though your monthly benefit is based on your individual earnings history, there is a cap on how much Social Security anyone can receive each month. For 2016, the maximum benefit was $2,639. In 2017, this amount will increase to a maximum of $2,687—a bump of $48 per month. This modest increase may not seem worth noting, but it amounts to an annual increase of $576. For retirees who depend on Social Security as their main source of income, this bump is a welcomed change to the decrease in the maximum amount that happened in 2016. 3. Folks are getting a (small) raise: Many seniors wince each year that passes without a cost of living adjustment (“COLA”) to their benefits. News on the COLA for 2017 is a mixed bag. The good news is that there will be a COLA adjustment for 2017; the bad news is that it’s the smallest increase on record. According to the SSA's press release, the COLA will rise by 0.3%. From estimates provided by the SSA, the average retired worker receives $1,350.64 a month, equating to a $4.05 monthly increase based on a 0.3% COLA. But, every little bit counts, right? 4. You’ll have to work a little harder to earn your benefits: What does this mean? Americans need to work throughout their lives to guarantee Social Security benefits later in life. The figure that workers shoot for is 40-lifetime work credits. These credits are calculated based on our yearly earnings, and we are eligible to earn four credits each year. In 2016, in order to earn the maximum four Social Security work credits, a worker must earn at least $5,040 (which translates to $1,260 per work credit). This threshold for credits will increase to $5,200 for 2017, meaning individuals will have to earn an extra $160 for the year to secure all four work credits. 5. 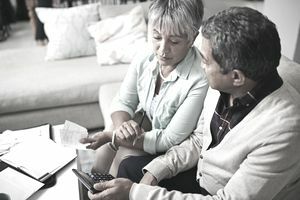 Early retirees will see an increase in withholding thresholds: Perhaps not a well-known fact is that retirees who take early retirement benefits are subject to a reduction in benefits if they choose to continue working. For example, in 2016, retirees who took early benefits would have $1 in benefits withheld for each $2 in earned income over $15,720. In 2017, this threshold will be higher. Early filers can earn up to $16,920, or an extra $100 a month before any withholdings begin to kick in. 6. Wealthier individuals will pay more into the program: All working adults make contributions to the Social Security fund by way of payroll taxes. Generally, the payroll tax has been 12.4 percent for income between the brackets of $1 to $118,500. For income earned above $118,500, there was no Social Security tax. Under this formula, about 90 percent of Americans were paying tax on all of their earned income. The remaining 10 percent were paying a much smaller percentage of their earned income because they made more than the $118,500 limit. For 2017, we will see a change in this upper-limit cap. The high-end taxable amount will increase to $127,200, meaning that more wealthy workers will pay more towards Social Security than in 2016. 7. Disability thresholds will increase: Social Security benefits are synonymous with retirement, but they are also available to individuals who are disabled and unable to work. In 2016, non-blind disabled individuals had to earn $1,130 or less per month to be considered for disability income from the SSA. The figure for the blind was $1,820 a month. For 2017, these thresholds are getting a boost– non-blind disabled persons can now earn an extra $40 a month, or $1,170, and still qualify for benefits from the SSA. Meanwhile, individuals who are blind will see an increase of $130 a month, bringing their threshold up to $1,950.